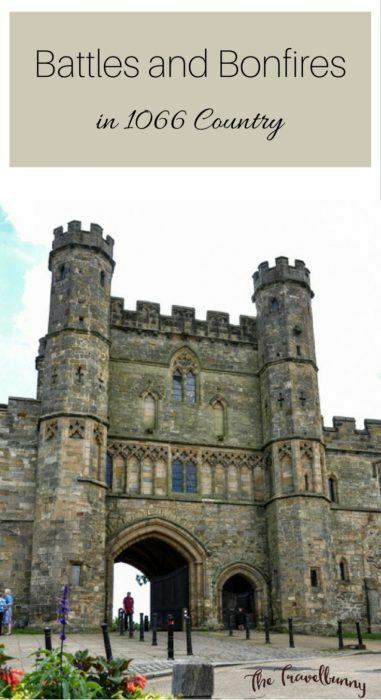 Battle, East Sussex is the heart of 1066 country and every year in October there’s one hell of a fight. 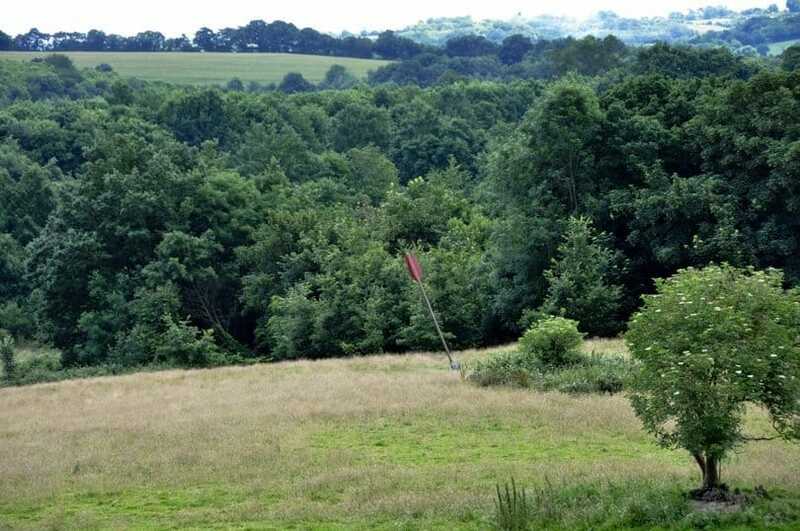 We’re invaded by Normans and there’s a big hoo-ha on the battleground behind the Abbey. This year the invasion is going to be even bigger because it’s the 950th anniversary of The Battle of Hastings. 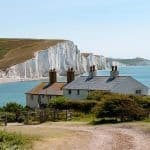 Despite the name, the clash between the Saxons and the Normans didn’t actually happen in Hastings. It took place six miles away in Battle. Yes, our town ended up being named after the famous spat that took place there in 1066. 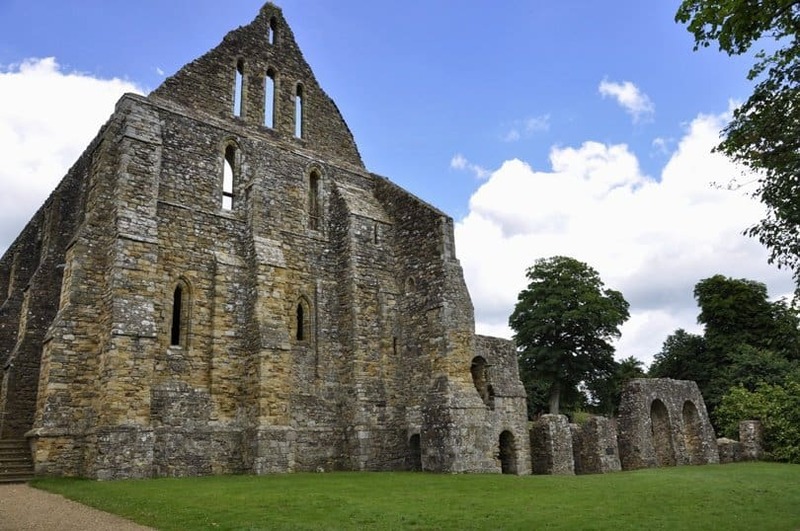 Battle Abbey was built by William the Conqueror after the conflict as penance for the blood spilled on the battlefield. 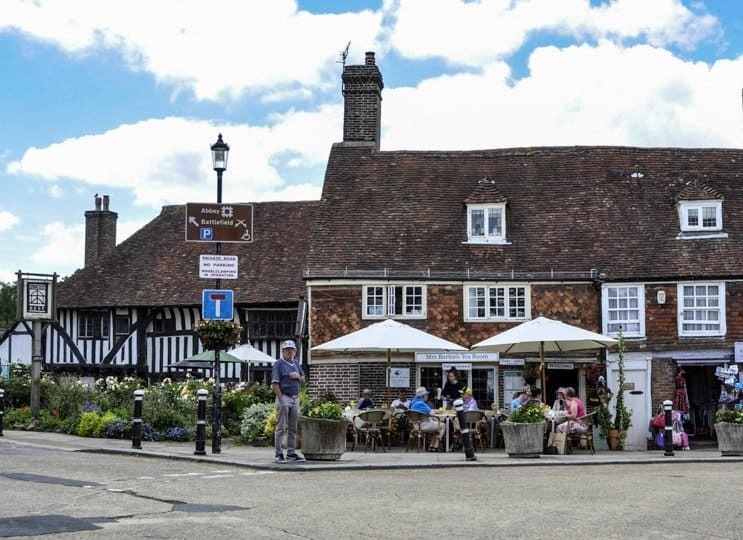 It dominates the High Street and the grounds are the meeting point for the annual re-enactment clash of the Saxons versus the Normans. The millennium anniversary is still 50 years away but I’m happy to celebrate the 950th because it’s doubtful I’ll be around for the big one. English Heritage must feel the same way because there have been some additions around the Abbey to mark the anniversary. A new viewing platform opened on the roof of the abbey in the summer. 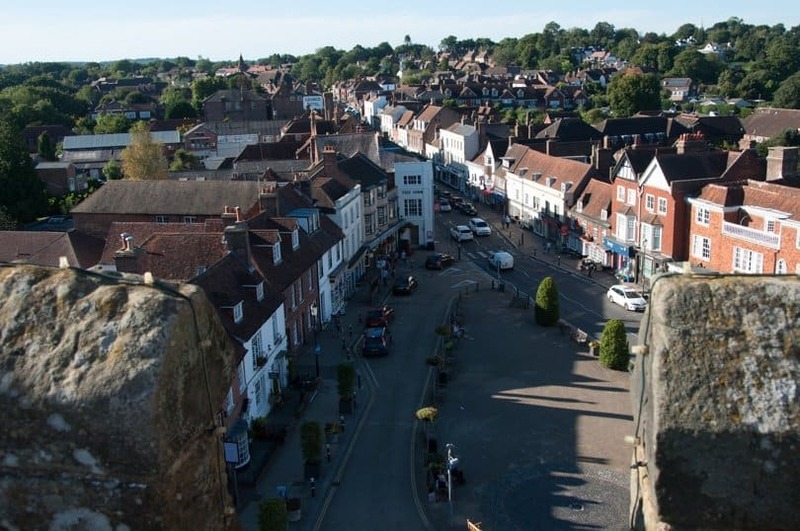 A climb up to the gatehouse roof offers bird’s eye views across the battlefield, the town and over the English Channel. Beautifully carved oak figures have been installed in a sculpture trail across the battlefield. The craftsmen from Studio Hardie have also designed and constructed a new rustic play area. A new exhibition shows the lead-in, location and outcome of the battle. The audio tour is well-worth buying into and is one of the best I’ve heard – it really brings all the drama of the battle to life. Each year in 1066 country there’s a re-enactment of the fight between the two armies that defined the future of England. The battle in 1066 took place on 14th October and each year the re-enactment takes place on the nearest weekend. In 2016 it’s on 15-16th October and it’s going to be extra special because of the big anniversary. 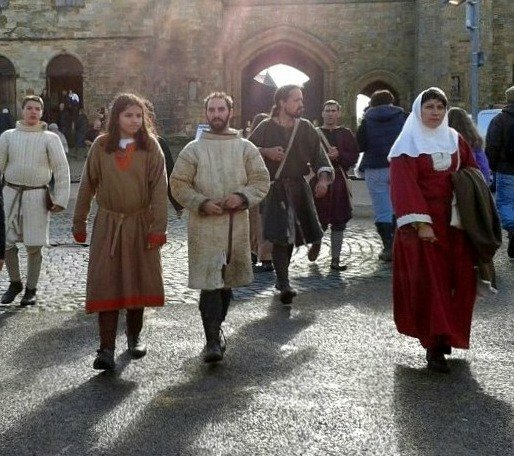 The town comes alive with enthusiasts travelling from all over the world to recreate history. There are demonstrations and displays of battle techniques and armour. Horses thunder across the battlefield leading up to 800 soldiers into battle. Tents are pitched, food is prepared on campfires and people dress in costume and live for a couple of days how they would have during a big battle. Well most do, I’ve spotted a few Normans in the fish and chip shop, a monk at the ATM machine and a bunch of peasants in the pub. 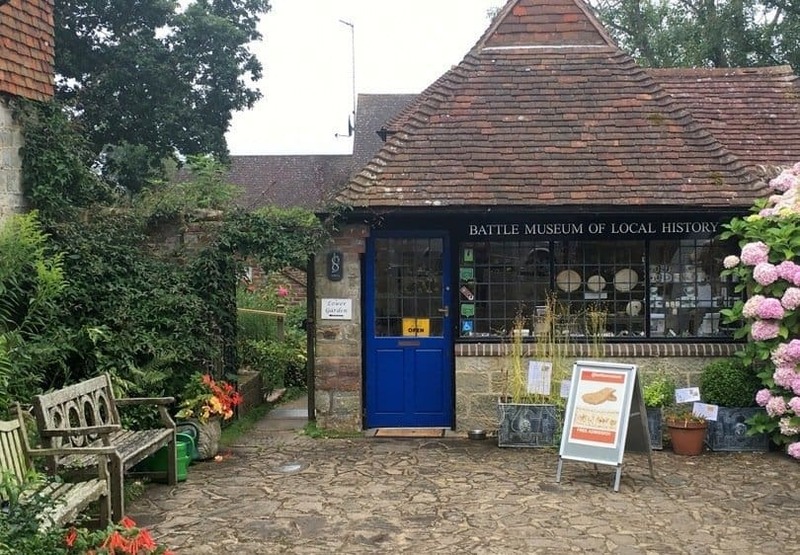 Battle Museum sits at the top of the High Street and there’ll be free entry throughout 2016. Drop in to see a special exhibition to commemorate the anniversary. A replica axe-head, a copy of one the few relics of the battle, is on display with many local history exhibits. Next to the museum are the walled Almonry Gardens which are nice for a stroll. Bonfire night is a big thing in 1066 country and the town takes it to a whole new level. 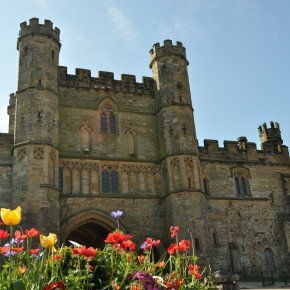 Battle hosts one of the biggest celebrations in East Sussex. It’s one of my favourite events of the year and takes place on the nearest Saturday to 5th November. This year it actually falls on 5th November. Battle’s first bonfire celebration is in the record books as being held in 1646 and the town lays claim to owning the oldest guy in the world. The head of the guy is thought to have been carved in around 1795 from a local tree. Guy Fawkes is drummed through the town in the morning and in the evening all the local bonfire societies join together to take part in a parade organised by Battel Bonfire Boyes. A torch-light procession lights up the High Street and culminates in a gathering on the Abbey Green. A bonfire in front of the abbey casts eerie shadows on the ancient building. An effigy, usually political, is torched and it’s all finished off with a fabulous firework display. The event is free to visitors but collections are made throughout the evening. 100% of the proceeds go to local charities. Battle bonfire is big festival in the town and people come from miles around. If you’re going to come along it’s worth mentioning that the roads shut at 6pm so arrive early and park up or take the train. The station’s just a five minute walk from the High Street which is where all the action takes place. Check out Battel Bonfire Boyes for more information and timings. There’s a whole range of eating options in the town. Mrs Burton’s do a good line in lunches and snacks and has great views of the Abbey. Check out the Battle Bangers – if you like them you can buy some to take home from the butcher in the High Street. Gordon Ramsay thinks they’re great too. Bluebell’s and Battle Deli are both good for coffee, tea and cakes and the deli stocks a good range of cheeses, pies and quiches. For something more substantial Cut and Grill serves a mean burger. There are some good pubs in the town. My favourite, The Chequers, a sixteenth century inn in Upper Lake on the road to Hastings, serves up great food and has a relaxed atmosphere in quirky surroundings. 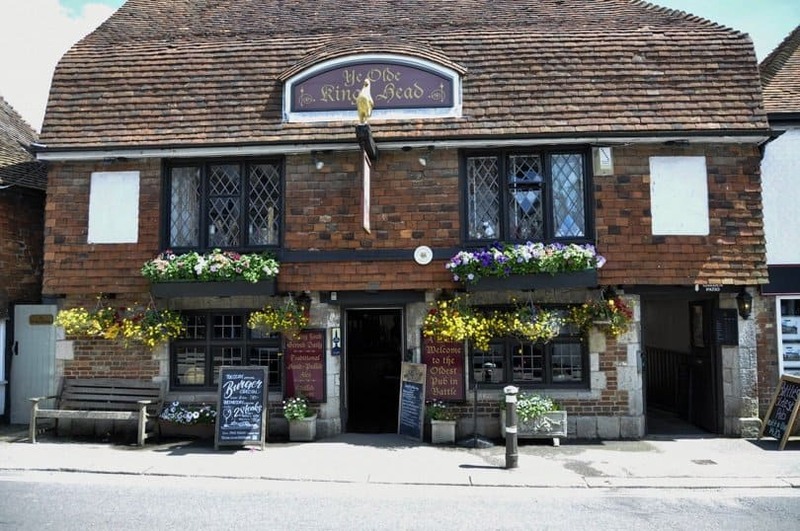 Near the top of the High Street you’ll find Ye Olde King’s Head, Battle’s oldest pub. Perfect if you like oak beams and roaring fires with your pint. The Bull is probably the best pub in the High Street. 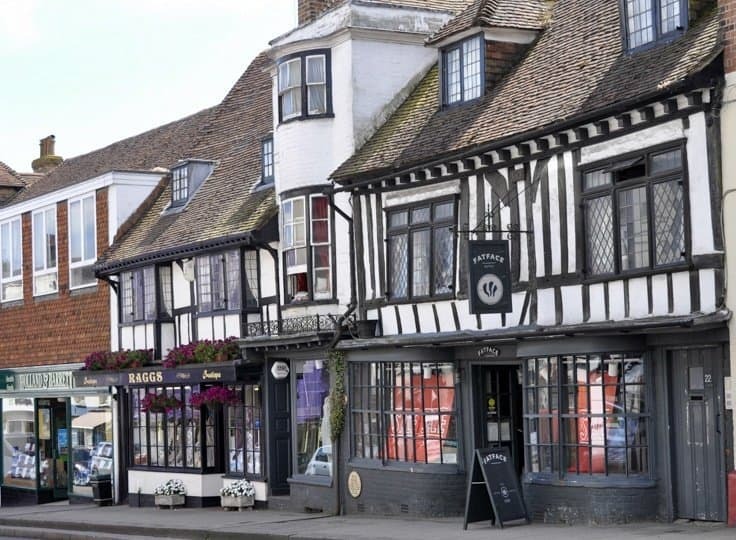 Independent shops fill Battle high street. My absolute favourite shop is British Design British Made which stocks good quality local art, design pieces and crafts – all British or locally made. 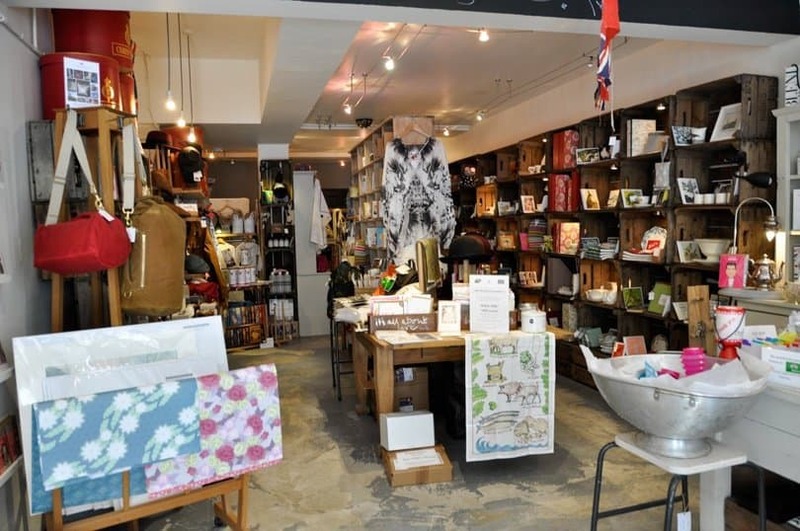 Farrago is another shop full of little gems; gifts, home-ware and clothing. Dapper does menswear with a hipster edge and Raggs have a good range of women’s clothes and accessories. 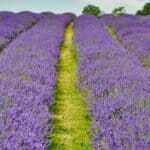 Shire Country Clothing stocks country-set staples like Barbour, Hunter and Musto. There are one or two well-known high street stores too. Powdermills Hotel, note the gunpowder connection, is a Grade II listed Hotel in a restored Georgian Country House. 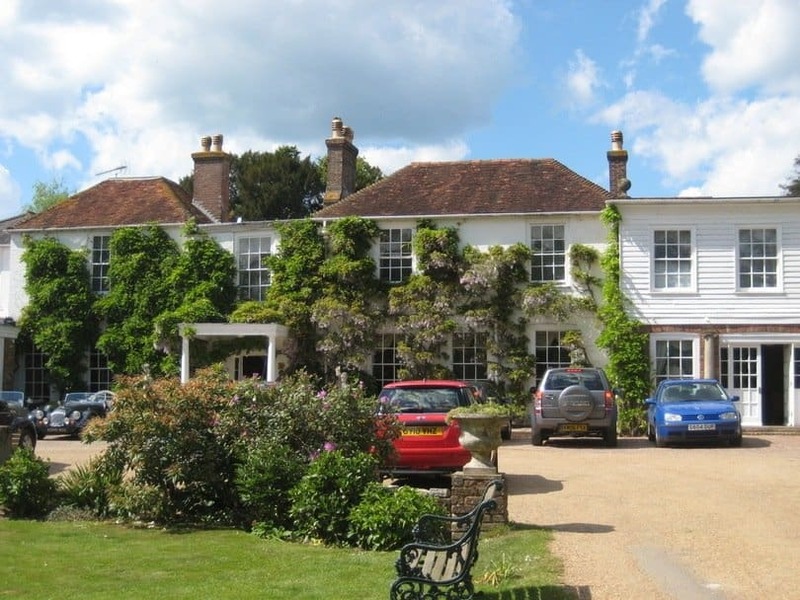 It has a great restaurant, The Orangery and is set in beautiful grounds. 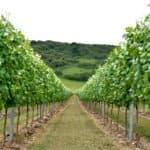 You’ll need a car to get to town as it’s located near country roads with no footpaths. In the High Street The George and The Abbey Hotel (actually a pub) both offer B&B accommodation. The 950th anniversary re-enactment of the battle takes place in Battle on the weekend of 15-16th October. 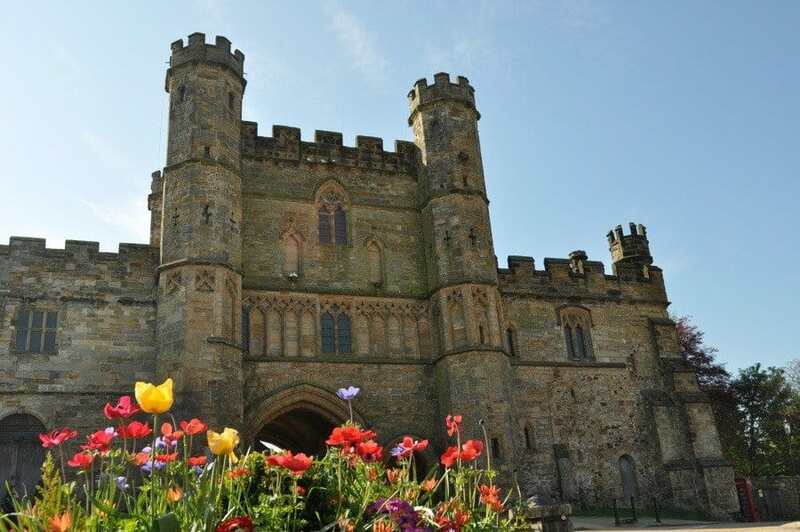 Come down to East Sussex and see how the course of English history changed forever. If fireworks are more your thing put 5th November in your diary for torch-lit processions, bonfires and bangers. Even without these events going on Battle is still lovely for a visit. 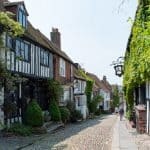 Together with nearby Rye and Hastings Old Town the trio of towns is worthy of a weekend away in 1066 Country. Has Battle Lost its Marbles? That’s a great side of the UK. I love the architecture and history. It’s something you see in the movies and mid-ages is my favorite. Great article. Thanks for sharing the story. I love that you give so much historical background! Thanks for the very informative post! Glad you enjoyed it and thanks for dropping by! The bonfire looks a little intimidating ;). Actually, the whole reenactment looks really interesting! 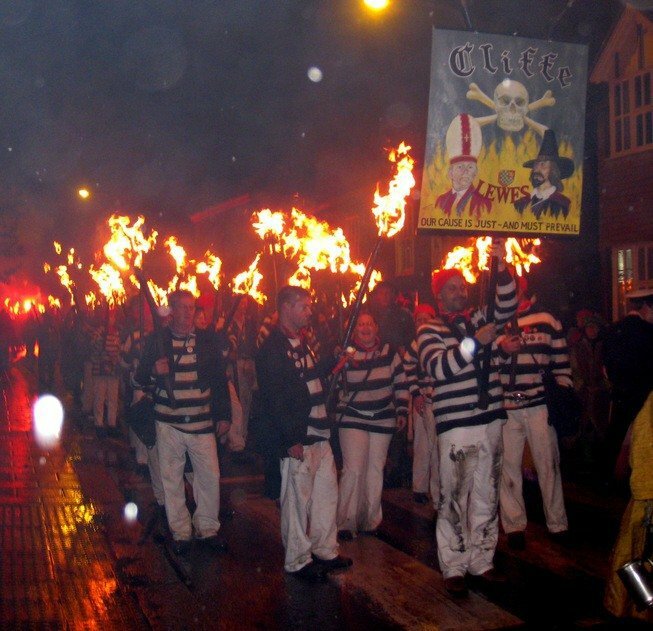 It’s a fun evening – East Sussex has a whole season of bonfire nights. The re-enactment has been going on today, I could hear the battles cries from our garden! Suzanne, what a lovely presentation of your hometown … never heard about Battle before I met you. I don’t know anyone that … make images out words, like you can. Thank you so much for sharing. 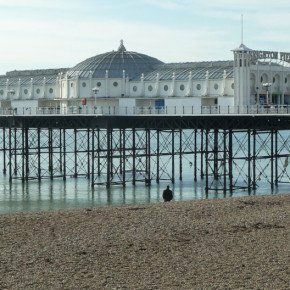 Not coming to Brighton when visiting the UK in January, short of time. Have to visit Brighton on its own. Going to miss our yearly date, but will be one later on. I really enjoyed visiting the Abbey earlier this year and sounds like it’s going to be even better with all the celebrations! I’ll probably go in this year to see what all the fuss is about – I’ve not been on the actual battlefield before whilst it’s all going on!